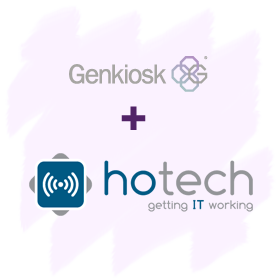 The Genkiosk team were approached by London based Hotech who were looking for a high quality paid Internet solution to add to their existing portfolio for up-market hotels and hospitality locations. An initial website enquiry from Mark Beecroft (CEO of Hotech) was followed by a remote demo by one of the Genkiosk team members who listened to his needs and then demonstrated ways in which Genkiosk could help. Mark required a 64bit solution for Windows 7 because it offered the best performance going forward. He also wanted support that could guide his business along the journey from concept to delivery. Several alternatives were investigated before the decision was made to go with Genkiosk. 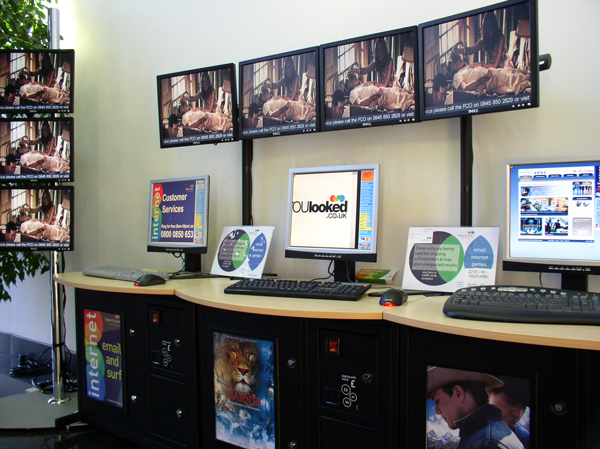 Having direct contact with the Genkiosk team meant that a high degree of customisation was possible. Hotech could then implement the right solution across its entire estate of Internet access kiosks and PC’s. Hotech deals with customers who require premium standards, which meant that quality of the overall experience was the overriding factor. A high degree of mass customisation meant that Hotech could allow customers to include their own branding. Several ways to access the service including free, credit card, voucher, cash, PayPal – all are available through the Genkiosk payment portal. 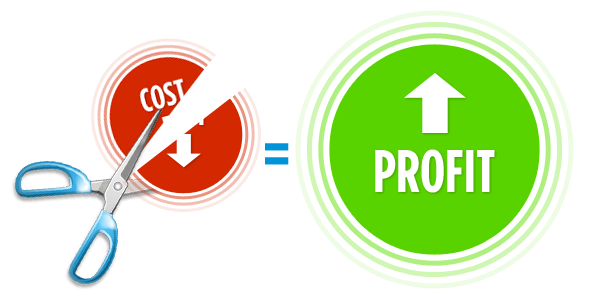 The hosted software website login means that service and revenue information is available centrally. Hotech was able to deploy its solution within six weeks of initial contact. Hotech has found a winning formula and is focusing on expansion of its model. Mark said “now we have a complete solution that works for the business we intend to take this to other sectors where quality is the top priority”. 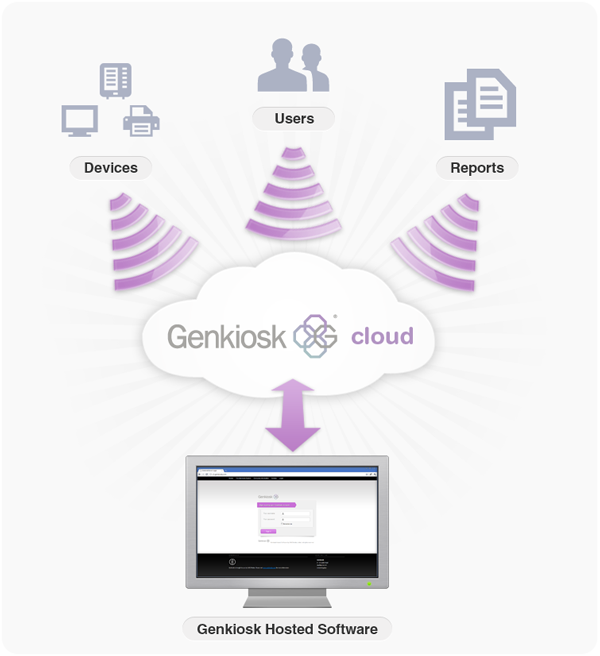 Genkiosk is the most powerful management system for interactive kiosks. You will find it adding value all round the world, from Fiji to the Middle East to Europe to California. 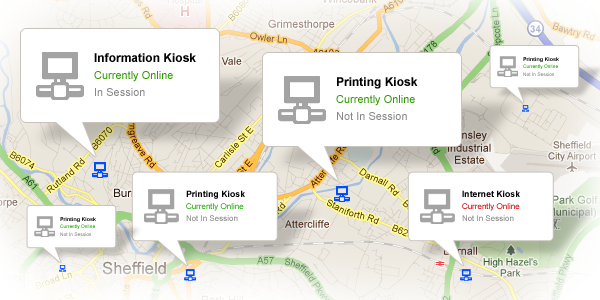 The following examples illustrate how our kiosk software is used. Genkiosk is used throughout the world in providing paid and free access to the Internet. This is done typically via a locked-down or or a purpose built Internet kiosk. The ability to set tariffs and monitor the health of the network has meant that this type of use for Genkiosk is very popular. If you would like to discuss this more please click here and we will contact you. During the summer of 2009 Max Box Middle East (MBME) started to use Genkiosk for what seemed to be a novel but rather niche market: bill payment kiosks for people living in the United Arab Emirates (UAE). Two years later this organisation has turned this into large business that enables thousands of people to pay bills, transfer money, and buy toll-road credits. James Oladujoye (CEO) explores ways in which his company and others could learn from the social networking phenomenon. Often I have been described as being a dreamer. And that makes me very proud. Star gazing is fun and every now and again it’s comforting to predict correctly. In this vein I have some strong beliefs about how systems like machine management platforms – such as Genkiosk – should interact with data-overloaded users. 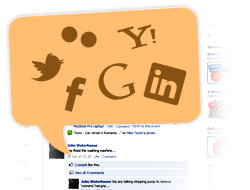 Firstly let’s stop for a minute to take a look at how Social networks such as Twitter and Facebook share information. Each signed up-user has to prioritise and choose whether to act upon 1000’s of messages, updates, photos, invitations etc. The needs of the individuals can be quite different. For example, I use Facebook to stay in contact with friends I have known from my early life, whereas my brother who is younger than me is very much more in the now, using it to organise events and share time sensitive information such as birthdays, get-togethers and sports events. Having a way to manage all these different needs within one common interface is a real trick. Firewalls and paid walls are springing up all over the web. Add to that a mish-mash of the technological and political and you could argue that there is a compelling inevitability to the splitting up of the Internet. The Economist Weekly has said “Powerful forces are threatening to balkanise the Internet,” and whilst you might say that this is overdoing it – we must not forget that big business is investing in Facebook and others in a bid to corral the most users. There are many similarities in the retail high street sector where the small shops are challenged (and often beaten) by the broad brush pile-them high sell-them cheap superstores. 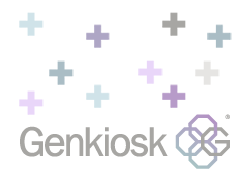 The Genkiosk developer team has spent the past few years working not only on getting lots of useful kiosk data for analysis but also developing ways in which the system can best work for organisations using automated processes. This methodology is based on the premise that it’s “not only what data you get, but what you do with it that counts”. Whilst you might say that this is a no-brainer, you are to a degree led by the system architects who develop management systems. GWD uses Agile Scrum processes to solicit feedback and turn real world customer based requirements into tangible roadmaps that add real value to the whole process. 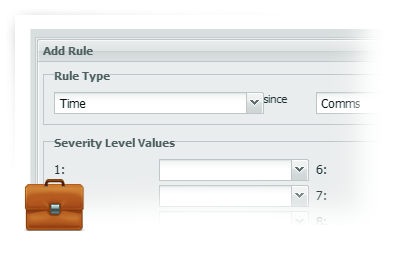 New capabilities that are really powerful include Business Rules, Severity Levels and Notifications. Whether it’s described as Domotics or Home Automation, the very notion of remote management of consumer & domestic appliances can send shivers down the spines of some people… whilst it is seen as a positive and logical – even evolutionary – step by others. To some it conjures up notions of robots taking over and information being held by large faceless organisations. It’s worth noting however that this technology is already here today! You’ll find it in aeroplanes, ATM’s, smartphones, cars, satnavs and many other sensor-rich machines. These are all benefits – right? Living in a Googled world raises issues of privacy that our generation has to try to come to terms with – deciding what is acceptable and what is not.